ACEM is a handy app written by one of our members - Golomp, which helps with downloading all ROS content without downloading bulky zip files and manually extracting its contents. It checks what content you already have and allows you to download what's missing only (and lets you choose whether you want to sync it or not). Top class. Then reload the app and the sync should begin. What do I need to have to start racing with you? 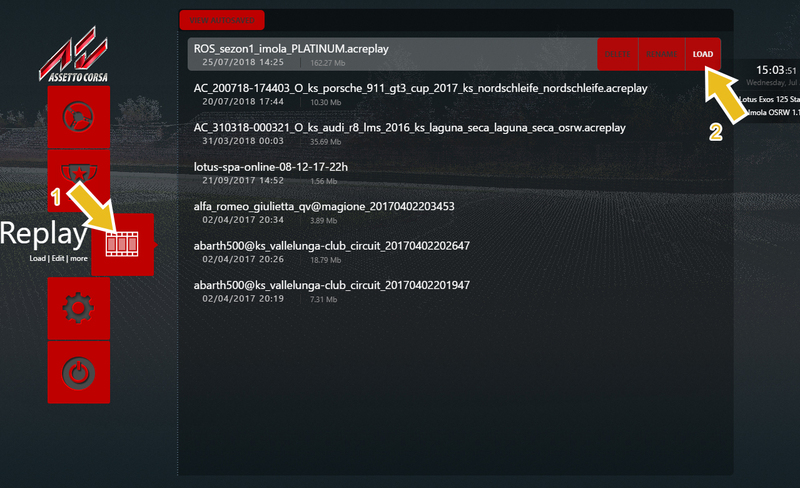 You'll need to have Steam version of Assetto Corsa with DLC's required by specific event you want to participate. Some require no DLC, some require plenty. Check requirements before you join the event. 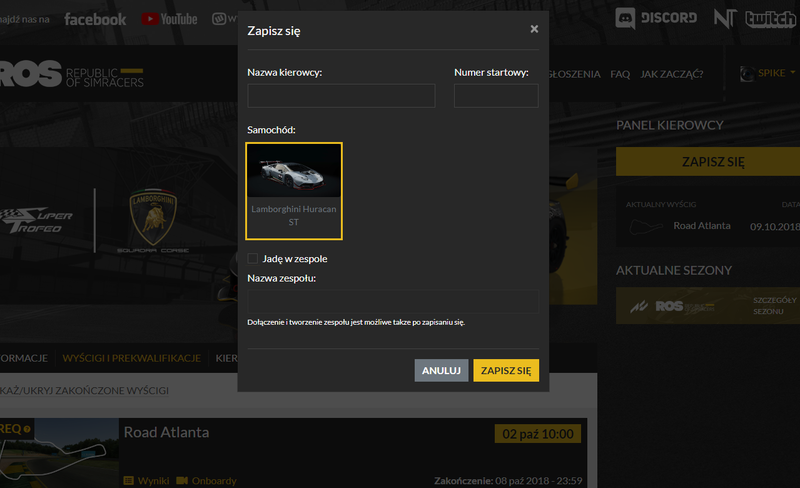 Can I have my own custom car livery? Of course! We love custom skins! There are few requirements though - your custom livery must contain the ROS, event sponsors' logos and official numberplate. Required files can be found in the DOWNLOADS section. If in doubt - ask on Discord - we can help. Select the event that you want to join. 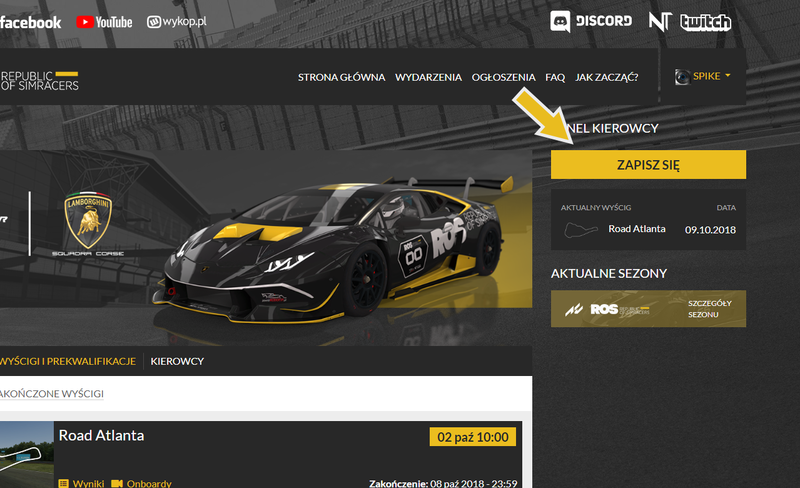 On the homepage either click the tile with event or go to EVENTS and pick one from the list. On the event page, click the SIGN UP button. Additionally you can join the existing team there or create a new one. Don't worry, you can always create/join team later. 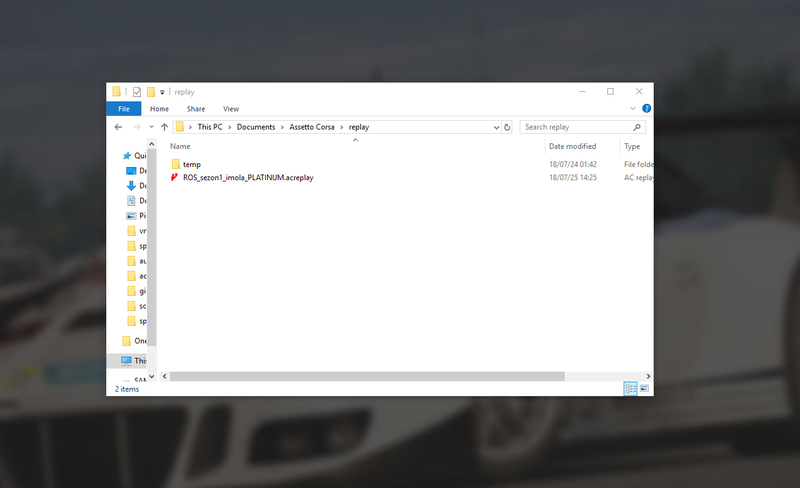 Download the reference replay (so everyone have the same timestamps) and save it in My Documents\Assetto Corsa\replays folder. To open it up and play you have to watch it in game. 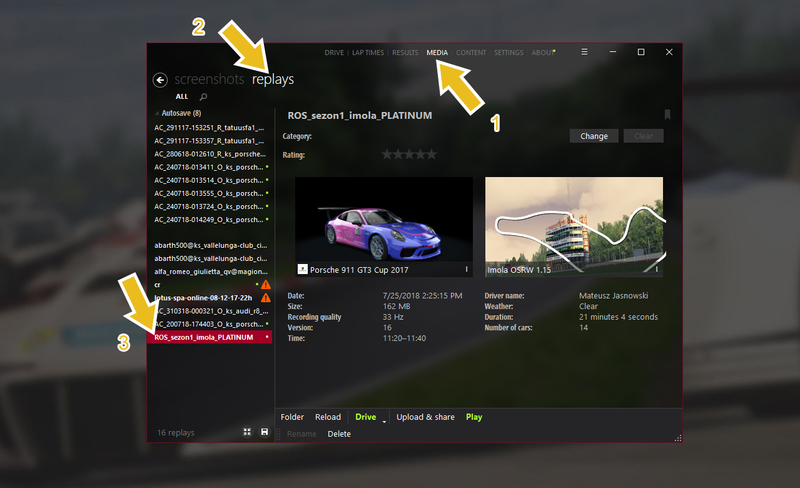 If you're using Content Manager, select Media tab, then replays and select the replay you want to watch. Open it up by clicking Play. Ask us on our Discord!